We are delighted to introduce you to yoga retreat chef Saba Rahbar. 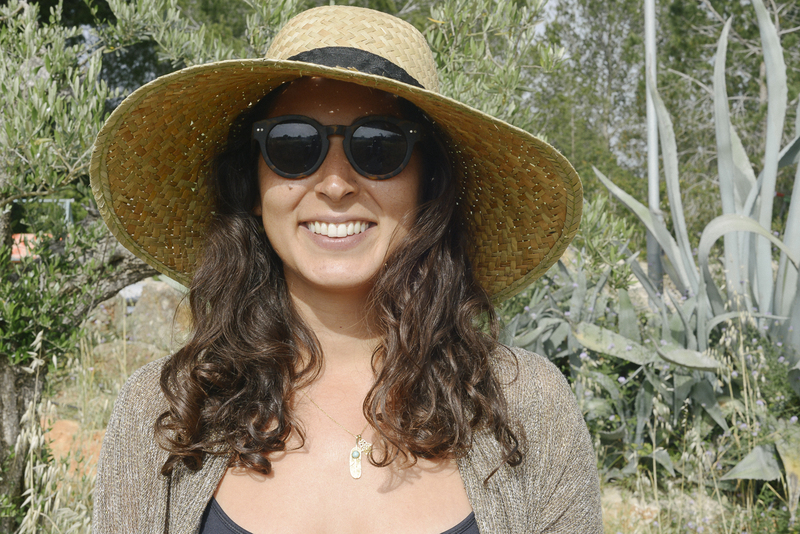 You’ll find Saba creating her delicious yoga retreat menus in Tuscany and Iceland and on our UK yoga weekends this year. We also have some very exciting news to share: Saba will be launching her own Wholistic Cooking Weekend next year. In response to loads of requests from our guests, Saba will be sharing her kitchen secrets at our new luxury yoga retreat location in Sussex in September 2018. We recently sat down with Saba to find out more. Tell us a bit about your background and how you got into cooking for yoga retreats? I was on the contraceptive pill for 8 years to help balance my hormones. It seemed to help at first but I was unaware of the side effects, one being liver disease which I found out I was suffering from. This made me seek other forms of medicine to heal my body, and soon after I met a Maya medicine healer who was willing to help me. Under his supervision I went through a year of intense liver cleansing in order to get my physical and emotional health back on track. Shortly after, I moved to Qatar from London and when I got there it was almost impossible to find the ingredients I was using to keep my health in check. This inspired me to make my own products and set up a catering company. I started running healthy cooking workshops, became certified in plant based nutrition, hosted women’s circles and supper clubs. Three years down the line, through a string of interesting events, I was introduced to the wonderful Jools and worked on my first yoga retreat with her in Tuscany! I have seen the benefits of living this way first hand, and the amount of self-love it requires to keep it up is immense. I’ve learnt that if we don’t love ourselves and nurture ourselves first then it’s quite difficult to love those around us. As cheesy as it sounds I believe we need the right fuel to keep our machines running smoothly. Sharing what I’ve learnt with others is a true passion, whether it’s through preparing food for hungry yogi’s or running workshops and giving people the right tools to take back and use in their own kitchens. Have you always been vegetarian? I grew up pescatarian (mostly vegetarian with some fish) after my parents read a book called Fit for Life and decided to change their diet and lifestyle. After I left home I started eating meat but would only cook vegetarian food at home. Once I started the liver cleansing I had to remove all meat and dairy from my diet and my yoga teacher used to talk about how the energy of the animal goes into your body when you consume it. This always resonated with me so it just felt natural to make the change. Why do you think more and more people are turning to a plant based diet? There are many different reasons people decide to switch to a plant based diet, from environmental to health. However, I also believe that we are living in a time of conscious alertness and more and more people are starting to question our archaic ways of living. Stepping away from the Ego and looking at nutrition from a different perspective. What are the key things you try to incorporate into your dishes? I always try to make sure that the dishes I make are well balanced both in flavour by using lots of spices and nutritionally by using whole foods, farm fresh veggies and pulses. And the main ingredient I put is LOVE! Can you recommend any dishes from those you cook for Reclaim Your Self yoga retreats that would be simple enough for people to recreate at home, even if they don’t consider themselves a great cook? Yes! 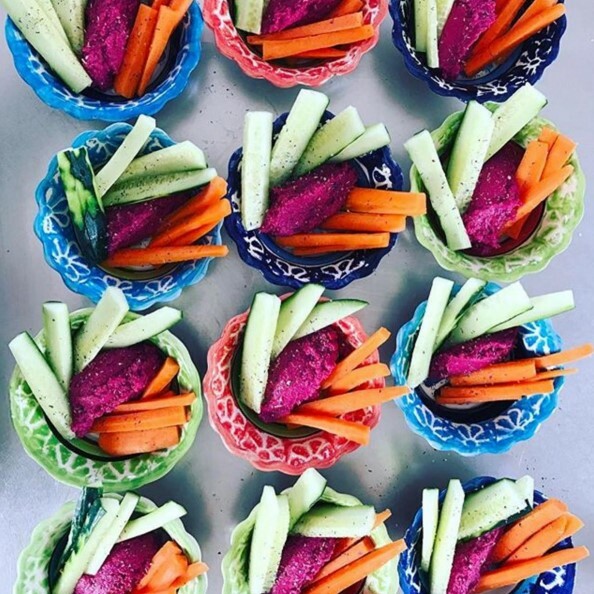 My roast beetroot hummus (pictured below) is always a winner on retreats, it’s also a bright fuchsia feast for the eyes! Download the recipe here. You can find out more about what Saba’s up to and get more of her delicious recipes at her website Treehouse Kitchen.